Dream interpretation birds. A bird is an animal, and as described under the general symbol Animals, this usually covers something instinct-related and therefore something natural in us. Birds in dreams are often images of elements like intuition (help from the unconscious), spirituality (birds flying high), fantasy (which can be caged) or freedom (free as a bird). The meanings can be many, especially when considering that there are so many species of birds. The condition of the bird in the dream might also be an indication of something very central. The bird as intuition. You might see birds in your dreams as a helping hand from the unconscious – a messenger that provides something that can help you in your situation, but that you have to catch and accept, before “the bird has flown”, i.e. before you miss your chance. The bird as freedom and fantasy. Birds can fly and are free from the normal earth-bound limitations, we humans have to accept. For this reason, bird dreams – just like dreams where we ourselves can fly (see Dreams about flying) – can be seen as an image of our ability to free ourselves of the limitations we may feel. This may be limitations created by ourselves or others. Dreams about birds can therefore also symbolize a wish to be more free – or free as a bird. This becomes very clear if the bird is in a cage – how or where in your life are you right now caged? Do the caged birds represent sides of yourself, you cannot express in your life? We can also dream that we are free as the bird – for example, that we have quit a job that was very stressful to us, or that we have gotten out of a destructive and limiting relationship. But how is the bird doing – is it lively and in fine form or is it winged? The condition of the bird tells us something about how we are doing after the liberation we crave. Because the bird is free of the ordinary earth-bound limitations of humans, it is often a symbol of fantasy. It can be (too?) soaring (maybe you have some ideas you are trying to get going), or it can be very limited in its movement (the caged bird). Spirituality. Birds can fly high and in this image, dreams about birds can also involve your own endeavor for spirituality and brilliance, maybe a search for a deeper meaning. The color of the bird can also be significant. White birds symbolize honesty and openness (a white dove means peace), while black birds can symbolize un-acknowledged aspects, things that will draw you back. The birds can in some cases symbolize something female and womanly: In man, his inner female qualities, and in woman, her so-called self or her innermost being. The individual types of birds can also carry meaning; the eagle and falcon fly high and therefore has a special breadth of view, and also a very keen sight. 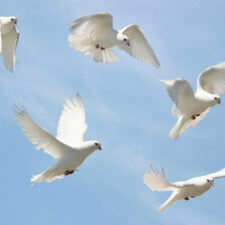 The dove can be a dove of peace, etc. The Phoneix is a known image of rebirth – to rise again after you’ve died. This imagery can be central to the personal transformation and development process, where old characteristics die (read about your own death under the symbol Death). Was this blogpost not sufficient and do you need further help interpreting your dream? For more information, go to Information about dream coaching. Note: Dream interpretation isn’t always as easy as it seems – and when you first get started interpreting your dreams, it is essential that you understand that all dreams are individual, so if you dreamt something about birds, well, then it almost certainly means something different for you than it does for other people who have dreamt about birds. The main point is that you in the interpretation of the dream feel that the interpretation suits you. 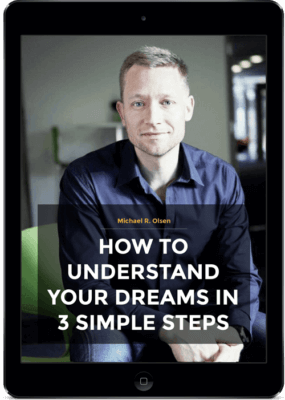 Dream interpretation can luckily be learned – the language of dreams is a language like all other languages, and dream interpretation becomes easier with time. I had a dream that a bigger bird trapped a smaller bird in his mouth and all the other birds including myself were trying to force him to let it go because it does not make sense that a bird eats a bird ! I seen 3 black birds in my dream 2 of them my vision was not clear i had to concentrate to see them properly 1 of them sit infront of the tree very clear to see. This 2 not clear ones sit insight the tree. A bird was going in a bird house on the tree and a big heart popped up and feather fell to ground. Then there was a fat oblong bird without feathers was on the branch then it fell and i missed catching it and then i picked it up to hold in my hands. I just wanted it to breathe. It was like it was dazed from fall but it was still breathing. Then i woke up. Hi I had a dream that a black and white finch sat on my friends beard , but the problem was she is female . Then it came and sat on me . What could this mean?